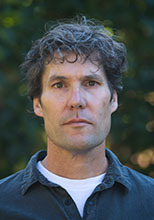 Bruce Wallace is a scientist with the Canadian Institute for Substance Use Research and an associate professor with UVic's School of Social Work and the Co-Chair of the Pacific Housing Research Network (PHRN). His research focuses on substance use and harm reduction, poverty and homelessness and access to health care, including dental care. He is an engaged scholar with many years of community-based research in Victoria employing health equity and social justice approaches to his projects. He was recently awarded the Victoria Community Leadership Award and the University of Victoria Provost’s Advocacy and Activism Award. Bruce’s research has been responsive to the illicit drug overdose emergency in BC as he co-leads several research initiatives including analysis of the implementation and impacts of the novel overdose prevention sites established in Victoria BC and a drug checking pilot project and evaluation. Bruce teaches in both the graduate and undergraduate social work program, currently teaching policy and research courses.